In two different regional award ceremonies firefighters from Worcester and Okehampton were among those honoured recently by Hereford and Worcester Fire and Rescue Service and Devon and Somerset Fire and Rescue Service respectively. 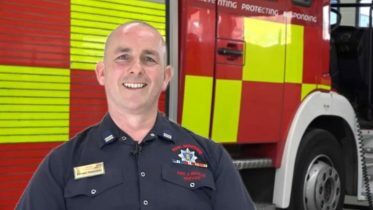 Watch Commander Dave Smith and the rest of the team at Worcester Fire Station were awarded the The Fire Fighters Charity Supporter of the Year and The Fire Fighters Charity Team Fundraiser of the Year for all of their fundraising efforts. The ceremony, held at Worcester Guildhall, honoured fire and rescue staff for their outstanding service and commitment to the fire service. Worcester Fire and Rescue Service Chief Fire Officer Nathan Travis (right of main picture) said: “It was an honour to once again be able to formally recognise some of the fantastic achievements and commitment of our staff and members of the community. Other awards on the night, presented on behalf of Her Majesty the Queen by the Vice Lord Lieutenant of Worcestershire, Lady Morrison went to members of staff who had each completed either 20 or 30 years’ service. In a separate ceremony, Devon and Somerset Fire and Rescue Service honoured Firefighter Ian Donovan for serving the people of Okehampton for four decades and also awarded Okehampton Fire Station the Team Dedicated to Charity Work Award. Ian joined Devon Fire Brigade as a retained firefighter in 1976 and has remained at Okehampton Fire Station for the duration of his career becoming station commander in 1984. 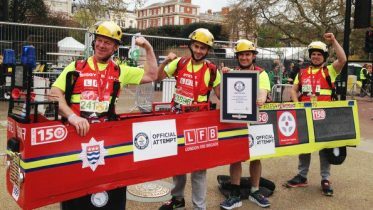 Last year, in aid of our Charity he led a team of firefighters from North Devon on a 84 mile walk in just 24 hours. The team wore full kit and breathing apparatus in a challenge that took them from Okehampton to Lynton. The team raised over £10,000 for both The Fire Fighters Charity and Children’s Hospice South West. 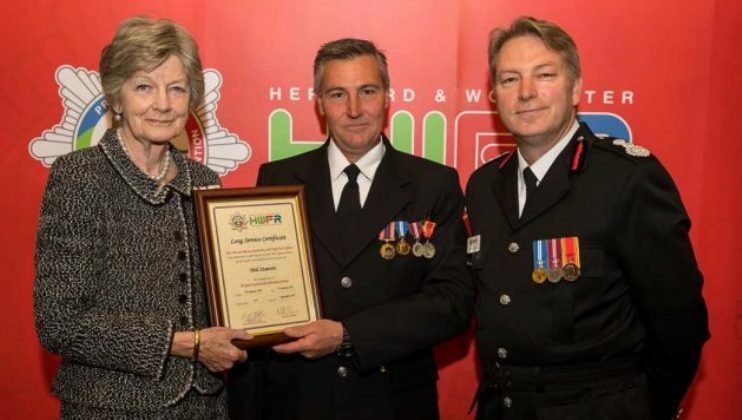 Ian said he felt ‘very proud’ to receive his award but was ‘even prouder’ that Okehampton Fire Station won the Team Dedicated to Charity Work Award. And on receiving his long service award he said; “Receiving the award for long service felt a bit surreal. Time has flown by and it’s been 34 years since I was put in charge of the station. Ian Donovan with his son John. Photo courtesy of the Okehampton Times. 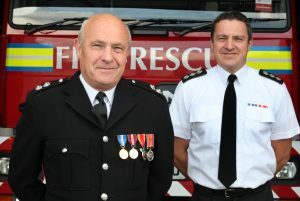 Devon and Somerset Chief Fire Officer Lee Howell added; “This is an important time in our Service calendar as we recognise service, professionalism and actions beyond the call of duty.